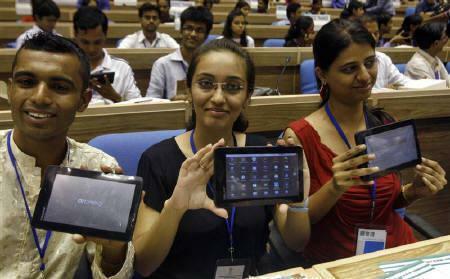 DELHI, India (Bennington Vale Evening Transcript) -- India launched what it deemed the world’s most inexpensive tablet computer Wednesday. The Aakash, which means “sky” in Hindi, will be sold at a subsidized price of $35 to students and later in stores for $60. Most of the country’s 1.2 billion people live in poverty. Products such as Google’s Chromebook and Apple’s iPad remain far out of reach for the average consumer. “The rich have access to the digital world, the poor and ordinary have been excluded. Aakash will end that digital divide,” Telecoms and Education Minister Kapil Sibal said.